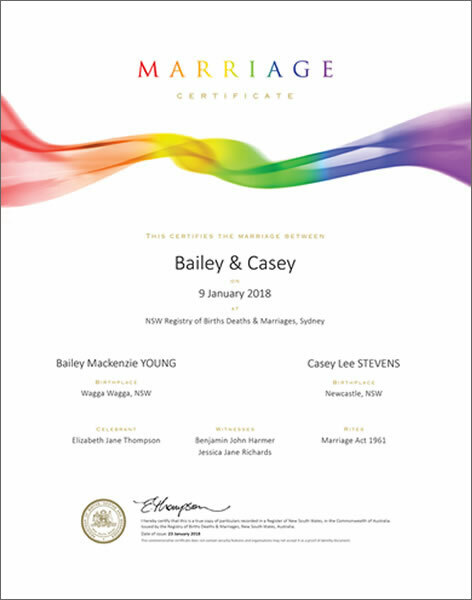 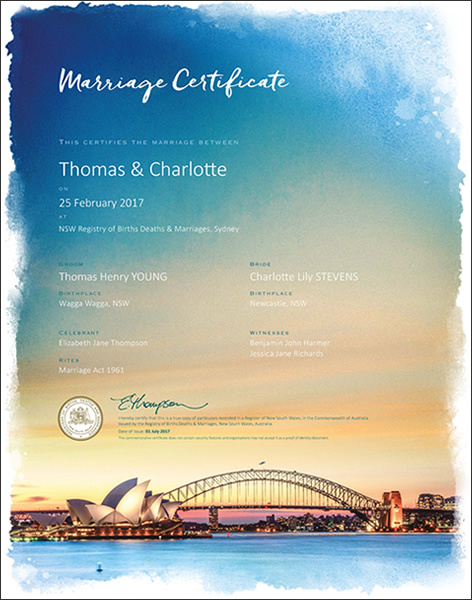 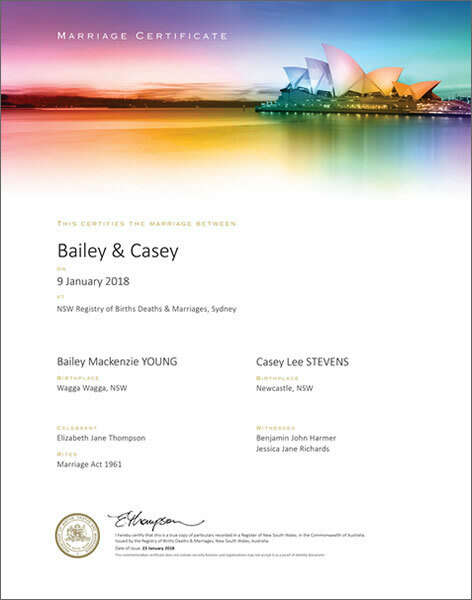 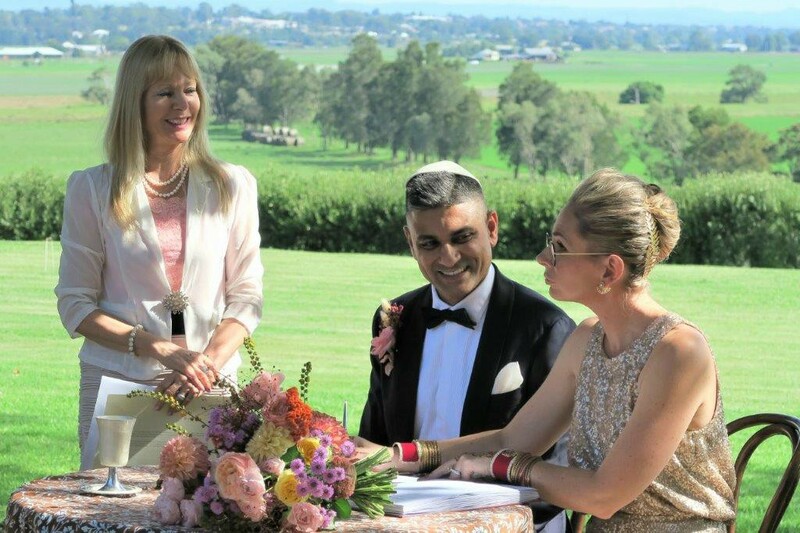 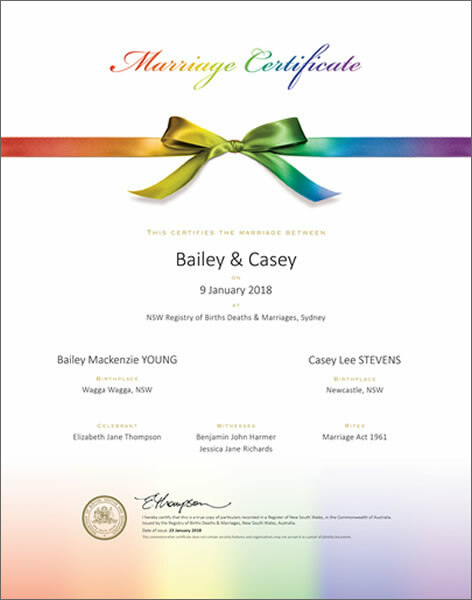 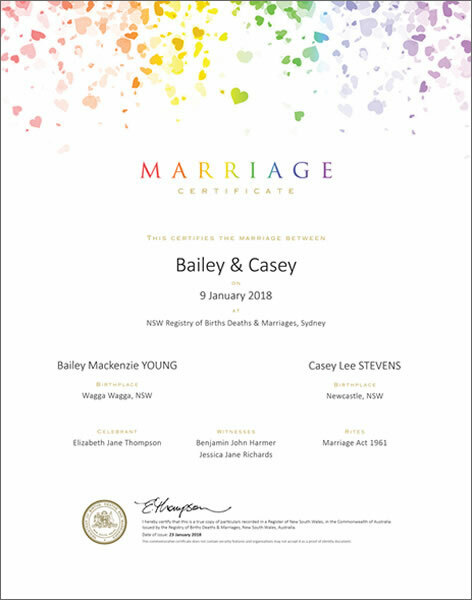 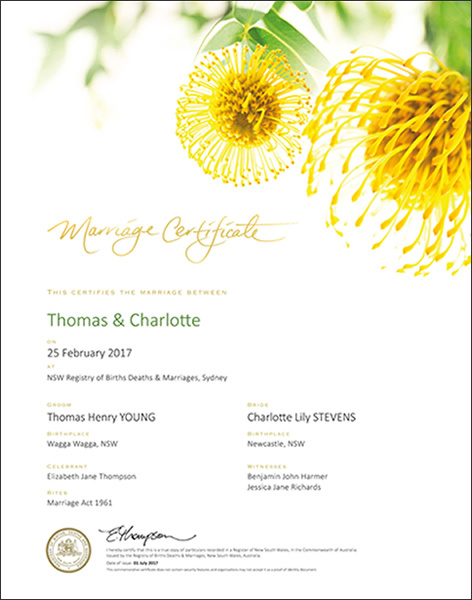 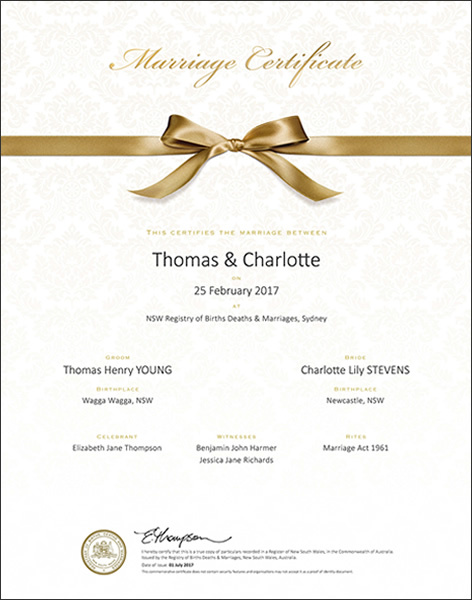 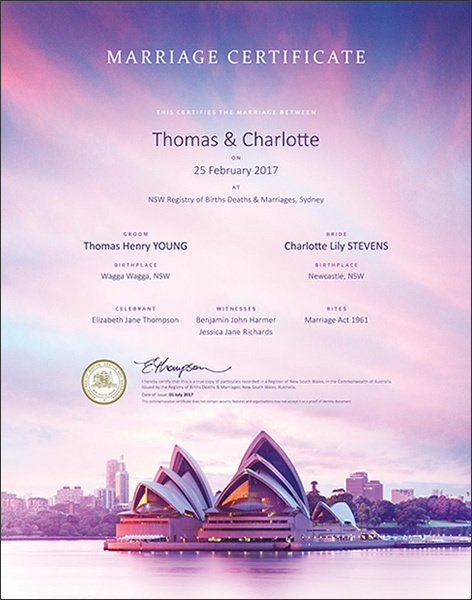 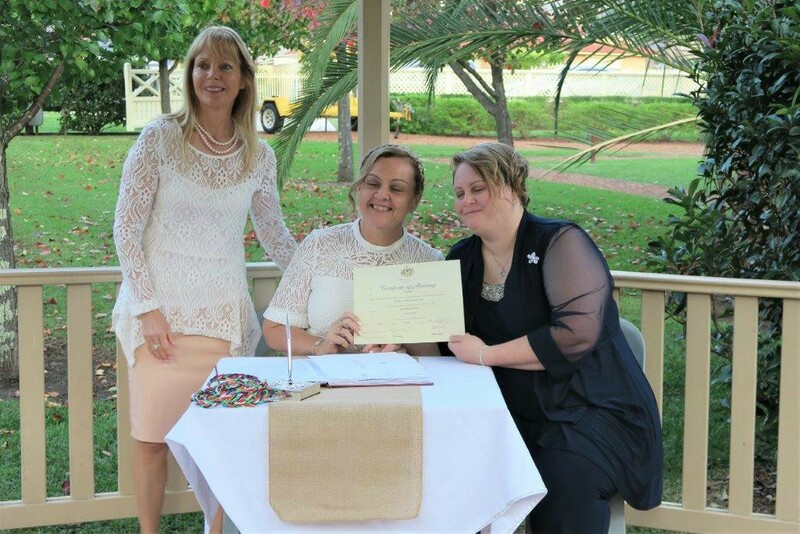 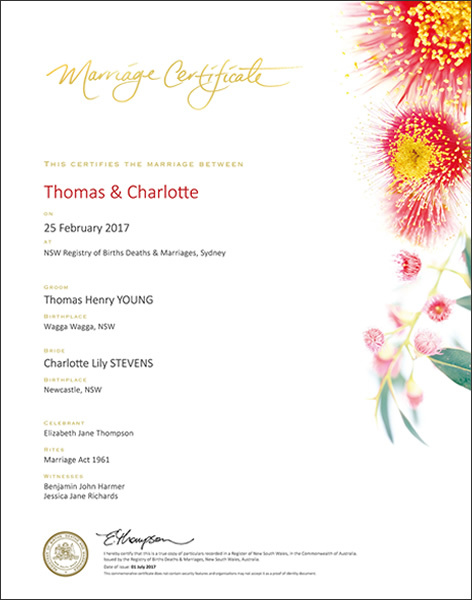 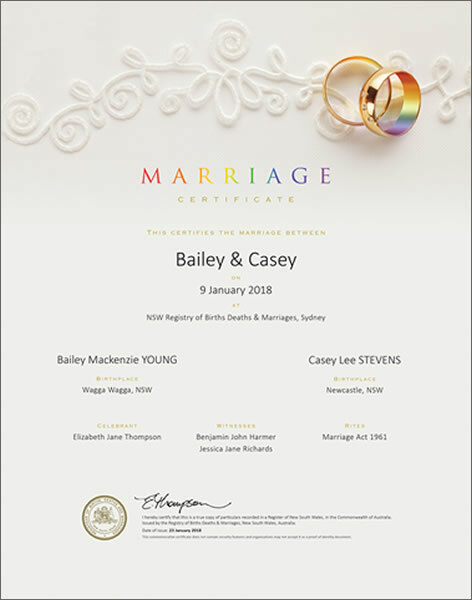 You will receive this Marriage Certificate NSW on your wedding day which is proof of the marriage and is numbered by the Attorney General. 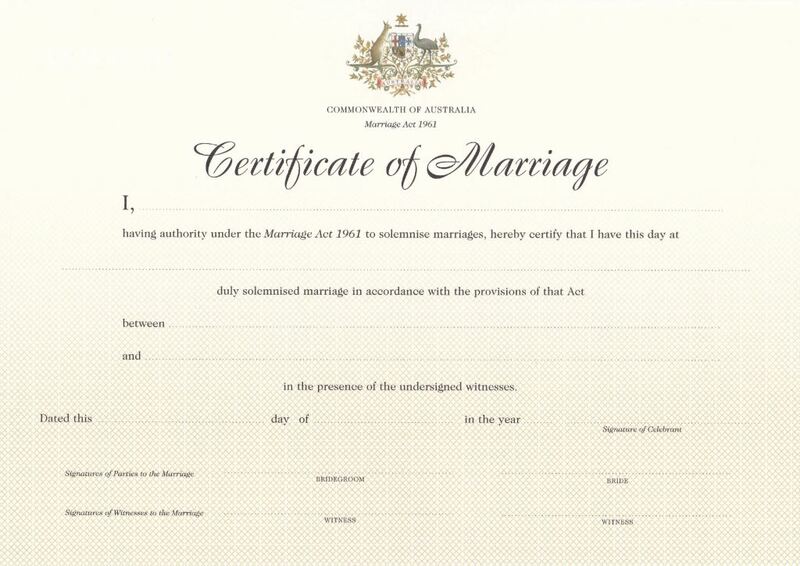 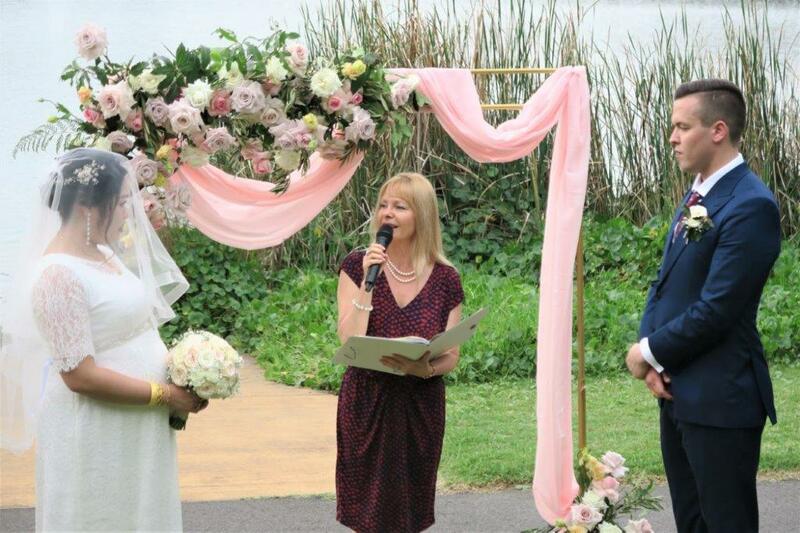 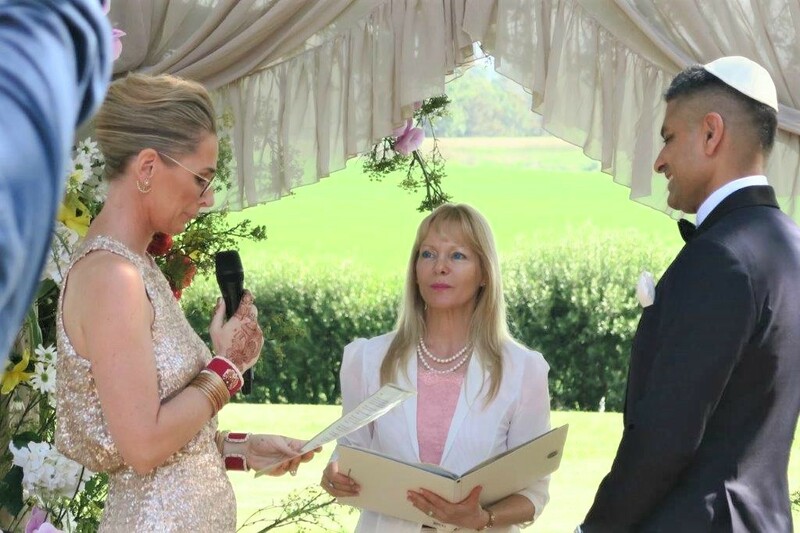 Both parties to the marriage have to sign it as well as their witnesses and the celebrant. 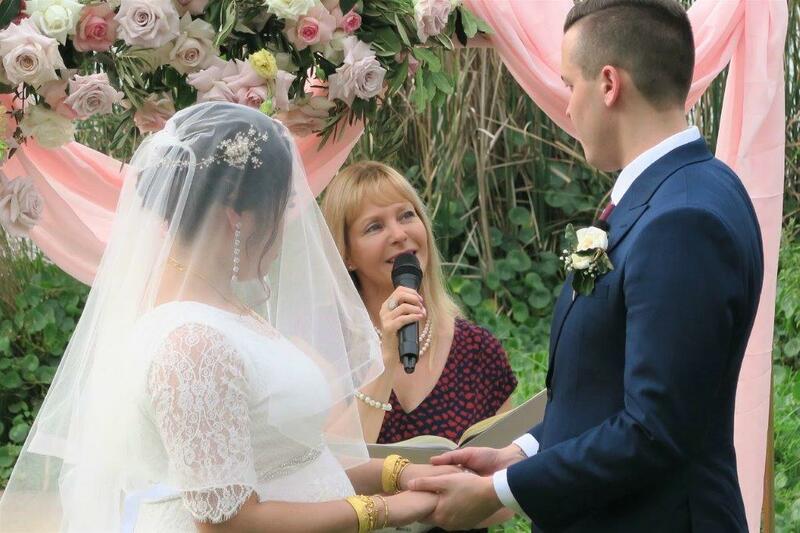 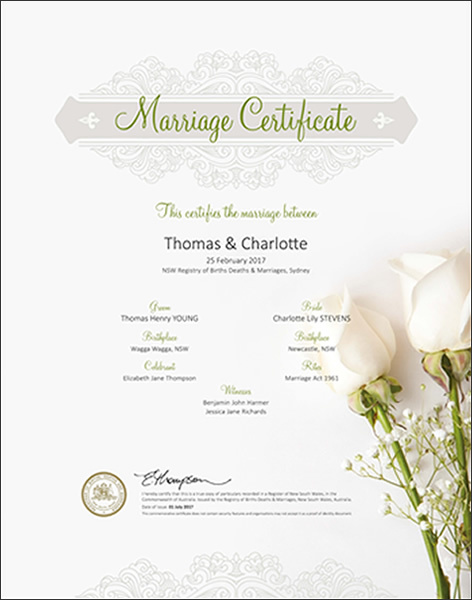 As your Marriage Celebrant, I can apply on your behalf for the standard official Marriage Certificate. 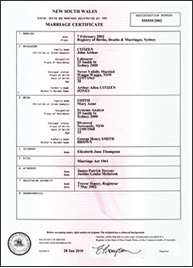 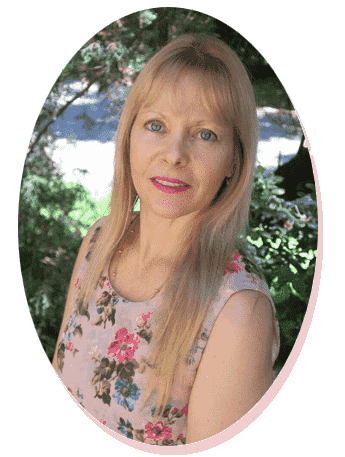 This is usually sufficient evidence to have personal documentation, such as your driver’s licence and passport, changed to your married surname. 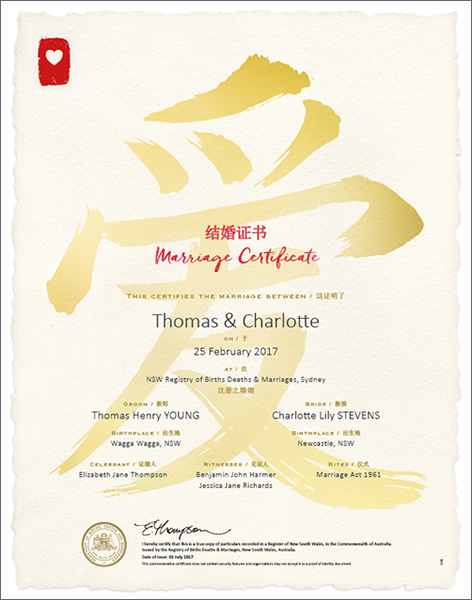 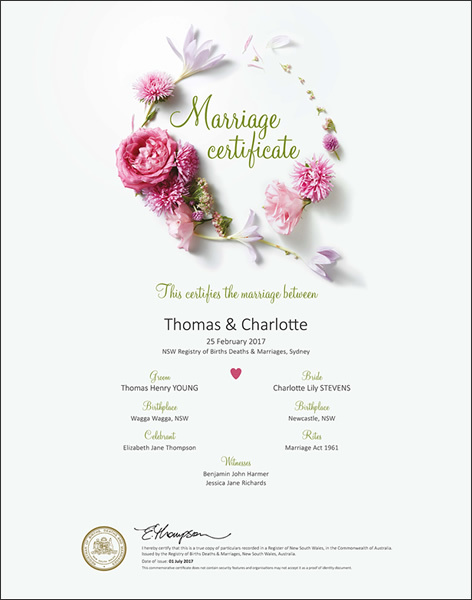 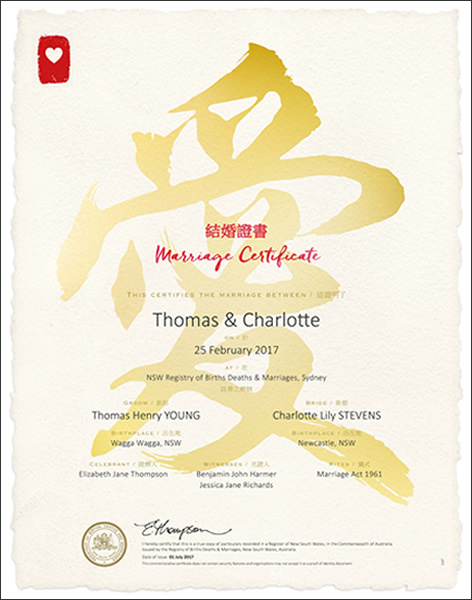 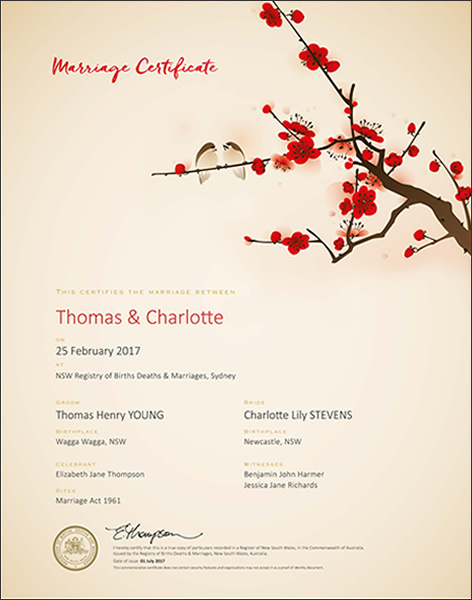 Together with the standard marriage certificate, you can also choose a Commemorative marriage certificate. 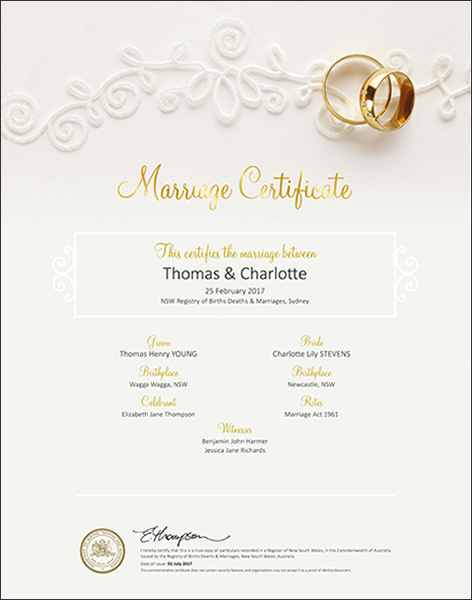 A great way to remember your special wedding day. 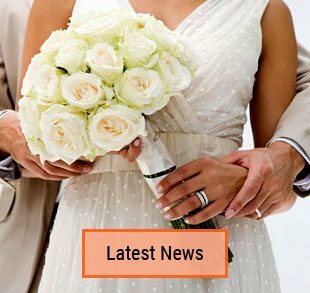 A separate fee applies.